Every other week, a language “disappears,” taking with it a part of a culture, and the tradition of oral storytelling. Throughout Central America, 30 Mayan languages are spoken, all of which are at risk. Today, February 21st is recognized by the UN as International Mother Language Day. On this day, we are celebrating Ixil, a language spoken in three specific regions in Guatemala, including Chajul. Today, there are approximately 85,000 Ixil speakers. For most Ixil people, their indigenous language is their first language, and many do not speak Spanish, centuries after the Spanish first colonized the area. In the late nineteenth century, political changes in Guatemala forced the Ixil to give up half of their traditional land. Still, they tenaciously held onto their traditions and knowledge of how to live and prosper in their environment. Starting in the 1980s, the Guatemalan Civil War had a devastating impact on the Ixil population and well-being. The military-style government targeted both its indigenous and non-indigenous people during the war, but the Ixil were especially targeted. Thousands were killed, and many remain unaccounted for. The 36-year war also had a tremendous impact on education and literacy. Many adults now are illiterate due to the complete lack of educational opportunities when they were growing up. Even today, the implications of Spain's invasion of their land is affecting schooling. 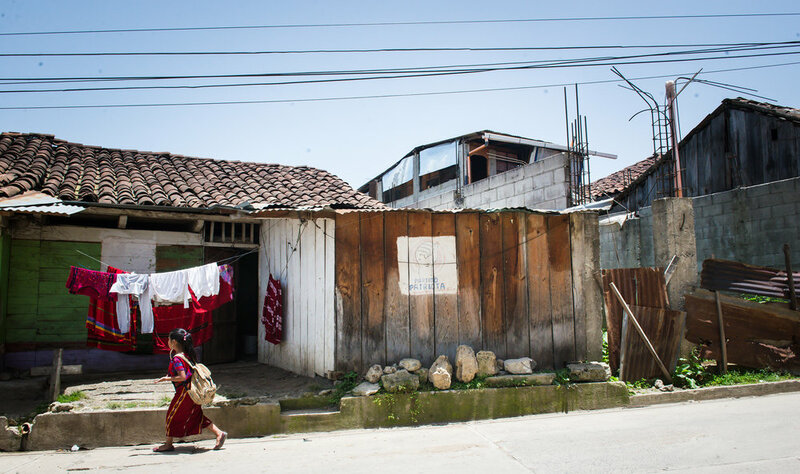 Though many students in Chajul drop out of school to help their parents, "others fail their classes because they cannot pass their exams in Spanish. Less than 3 percent of students graduate from high school; it’s less than 1.5 percent for girls,” wrote photographer Anita Bonnarens. However, early education is becoming more common, with local not-for-profits, educators and elders working together to increase reading and writing skills for Ixil speakers. “While the community has a rich oral storytelling tradition, Ixil literature has been nearly non-existent until now,” said Leslie Meyers of Limitless Horizons Ixil (LHI). LHI is one local NGO working to open access to education and also promote the longevity of indigenous language and storytelling. LHI opened the first community library in Chajul, to encourage a love for reading, culture, and imagination. "My daughter has always wanted to spend time at the library. And I've always allowed her that opportunity", said Marta Asicona, a Chajul community member and mother. "I went to elementary school, but during that time we didn't have a library. I can't understand big words, but kids today, they understand everything". Soon, LHI will be publishing one of the first-ever bilingual Ixil-Spanish books, including 15 traditional Ixil stories, collected through interviews with community elders. "LHI is committed to cultivating a love for reading among Chajul's first generation of educated young leaders. Community elders are grateful that youth today have opportunities for education that weren't available when they were young", said Meyers. Click here to learn more about LHI and support their literacy programs. 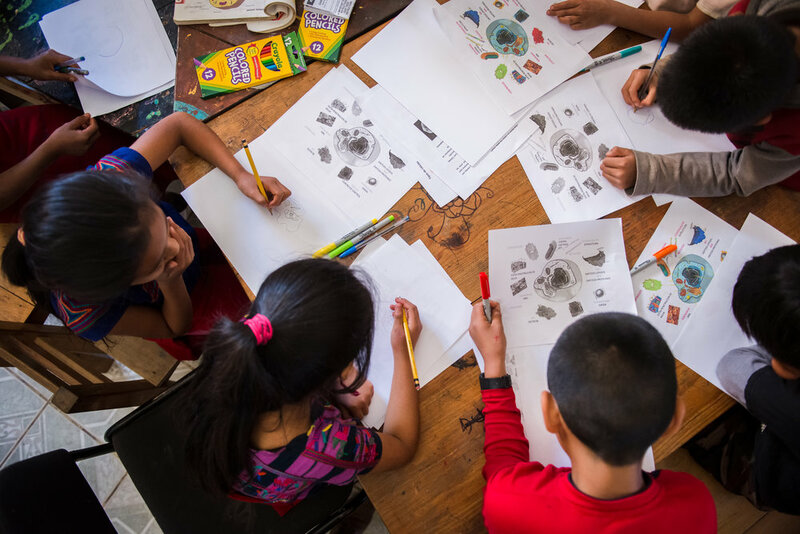 And to visit LHI, register for PWB School Guatemala before February 28! Photographers Without Borders® is a registered 501(3)(c) not-for-profit organization in the US and a registered not-for-profit organization in Canada. All images and video on this website © 2012-2018 and are not to be copied, re-used or distributed or published anywhere without our written permission. Photographers Without Borders® is not in any way affiliated with Doctors Without Borders / Médecins Sans Frontières. Doctors Without Borders and Médecins Sans Frontières are registered trademarks of Médecins Sans Frontières International.